Agalloch bassist/Self Spiller mastermind, Jason W. Walton, has been creating surreal and otherworldly soundscapes for over twenty years. In the ’90s he began working under the name Nothing and released four full-length albums and various EPs and singles. He performed live as Nothing in the Midwest and the West Coast before retiring the name in 2003. Walton remained busy with other musical endeavors knowing that a return to ambient noise was imminent. 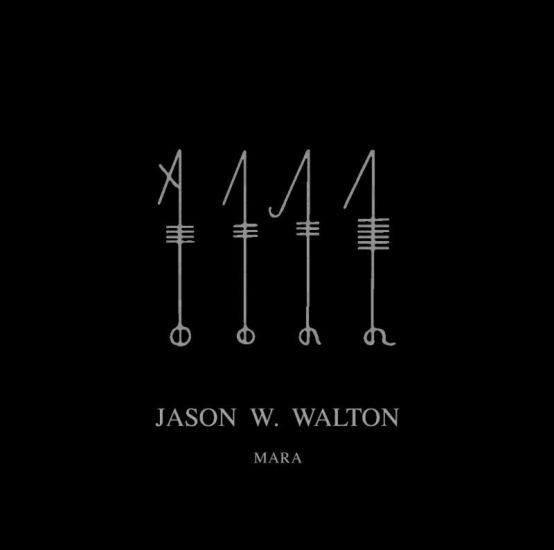 Walton decided to thematically compose these songs around his struggle with sleep paralysis — a phenomenon in which a person, either falling asleep or awakening, temporarily experiences an inability to move, speak, and react. While creating these tracks he deprived himself of sleep and recounted his episodes of sleep paralysis within the two tracks contained in Mara. During episodes of sleep paralysis, Walton sometimes feels like he has some kind of spiritual connection or “visit” from lost loved ones. Shortly after track one, “Alp”, was completed, Walton suddenly lost his stepfather. A few months later, after track two, “Yakshi”, was finished, Walton’s dear friend and former Metal Maniacs editor, Katherine Ludwig, passed away. Although these two songs are not about these people, they are wholeheartedly dedicated to them making this an intensely personal work. Mara was recorded at Earth in Sound Studios Portland, Oregon with vocals on “Yakshi” performed by Tanner Anderson (Obsequiae, Celestiial) and recorded at HammerHeart Brewing Company in Lino Lakes, Minnesota. Mara was mastered by James Plotkin (OLD, Scorn, Khanate, Khlyst) with design and layout by Agalloch’s John Haughm. Mara will be unleashed on June 21st, 2015 via Red Orchard Records on limited edition (300) seven-inch black vinyl housed in a deluxe black arigato sleeve featuring silver debossed artwork. Preorders are currently available via www.redorchardrecords.com. Each copy comes with a free download code.